It’s what they DON’T say that matters #94. Missing #Manchester #climate goal on #MCC website. So, can anyone spot mention of that second goal in the following screengrab from the Council’s own website? What a curious omission. 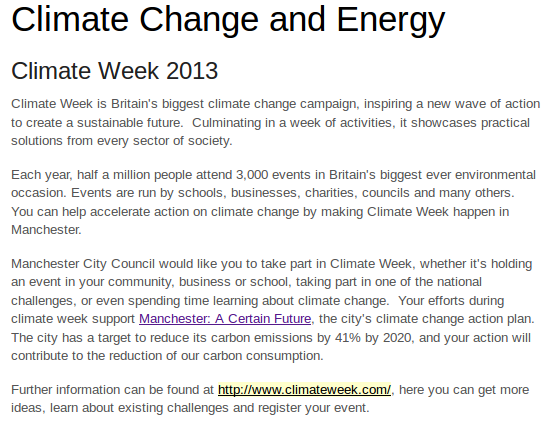 This entry was posted in Climate Change Action Plan, Manchester City Council and tagged Low carbon culture. Bookmark the permalink.